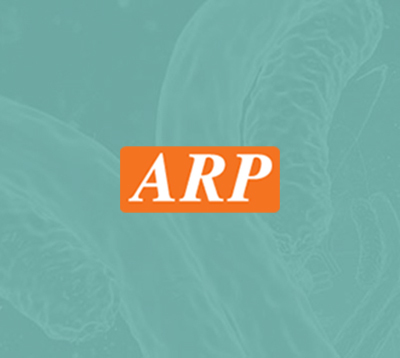 ENSA, 1-121aa, Human, 01-1765 | ARP American Research Products, Inc.
ENSA, also known as alpha endosulfine, belongs to a highly conserved cAMP-regulated phosphoprotein (ARPP) family. This protein is expressed in a wide range of tissues including muscle, brain, and endocrine tissues. This protein was identified as an endogenous ligand for the sulfonylurea receptor, ABCC8/SUR1. ABCC8 is the regulatory subunit of the ATP-sensitive potassium (KATP) channel, which is located on the plasma membrane of pancreatic beta cells and plays a key role in the control of insulin release from pancreatic beta cells. This protein is thought to be an endogenous regulator of KATP channels. In vitro studies have demonstrated that this protein modulates insulin secretion through the interaction with KATP channel, and this gene has been proposed as a candidate gene for type 2 diabetes. Recombinant ENSA protein was expressed in E.coli and purified by using conventional chromatography techniques. ARPP-19e, Alpha endosulfine isoform 3 Alpha endosulfine, ARPP 19e, Endosulfine alpha. 18.5 kDa (165aa), confirmed by MALDI-TOF. Heron L., et al. (1998) Proc Natl Acad Sci U S A. 95(14):8387-91. Kim SH., et al. (2001) J Neural Transm Suppl. 61:1-9.